Edward Escudero, CPA is Vice Chairman of WestStar and currently serves as President and Chief Executive Officer of High Desert Capital LLC, a finance company specializing in providing various types of capital alternatives to small-to-mid-size companies. Until 2013, Ed was Executive Vice President and CFO of C&R Distributing, a major distributor of fuel and lubricants and owner of various convenience stores in West Texas and Southern New Mexico. He also served as Secretary and CFO of Petro Stopping Centers, L.P. During his tenure at Petro, the company grew to have locations in 34 states and sales of over $2 billion. While at Petro, he held the vital role of managing various departments within the Company, including Accounting, Legal, Human Resources, Audit, Financial Planning and Information Systems. In 2007, Ed was instrumental in assembling the sale of Petro. Ed believes in playing a key role in community affairs. He currently serves on several boards including El Paso Electric Company, Medical Center of the Americas Foundation, the Hospitals of Providence Transmountain Campus, El Paso Community Foundation Investment Committee, El Paso Hispanic Chamber of Commerce and Texas Guaranteed Student Loan Corporation. He also served on the Texas State Securities Board from 2007-2011. Ed has received several awards that recognize his achievements and philanthropic efforts, including the Community Spirit Award in 2015, El Paso Business Hall of Fame in 2014, Hispanos Triunfadores in 2013 and the UTEP Gold Nugget Award in 2012. He received a B.B.A. in Accounting from the University of Texas at El Paso. He and his wife, Margie, live with their two children in El Paso. 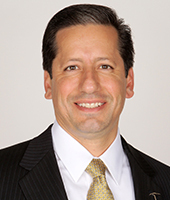 Mr. Escudero has been a Director of WestStar since 2014.